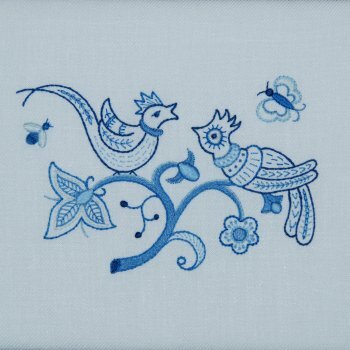 This is a creative embroidery approach in the Deerfield style of embroidery. A variety of stitches will be employed with discussion and advice so that each student creates a unique piece. Lucy Dillon holds undergraduate and graduate degrees in the arts. She has taught at NHA and AAN and created exclusive designs for each organization. She is year round resident and created designs for several of this year’s embroidery classes.